...apter 7 that the Covenant of Redemption was the eternal covenant between the Persons of the Trinity, which laid out their roles in the self-glorification of God and the redemption of God’s elect. The Father was to elect a people and give them to the Son. The Son was to redeem the people whom the Father gave to Him. The Spirit was to apply the benefits of Son on their behalf to them and indwell them. Our Lord is not only the prime elect of God, the Son of God, God the Son, the Savior and Awaited One, but He is also the High Priest of God’s people. The task of the priest is to be a mediator between God and man. This was the case in the Old Testament also for example when the people would come with their sacrifices to the Levitical priests, or on the Day of Atonement when the High Priest would intercede and make atonement for the people of Israel (Lev. 16). Christ the Lord is the High Priest and Mediator of the New Covenant (Heb. 8:6; 12:24). The priests were to stand between God and man, but the problem with the Levitical priesthood was the fact that the priests themselves were not pure. They themselves were full of weaknesses and sin and they were to stand between sinful man (themselves being sinful) and holy God. That’s problematic. The Book of Hebrews (which is now my second favorite epistle after Romans) lays great stress, especially in chapter 7, on Melchizedek and his priesthood. Melchizedek comes on the scene in the life of Abraham after the slaughter of the kings in Genesis 14. He comes at once on the scene and the text tells us that “He was priest of God Most High” (Gen. 14:18). Even at that time, there were more people who knew God other than the ones we meet in the Bible. Melchizedek was a priest of God the Most High. He comes here on the scene and for centuries we hear nothing about him until we come to the Messianic Psalm 110:4. ...elieving in Christ. They did not receive regeneration, faith, or justification by water baptism, but they showed that they possessed these things by water baptism. All these truths are clearly represented and symbolized in water baptism by immersion. But, is the Apostle actually speaking of water baptism here? Dr. John MacArthur calls the baptism in Romans 6 a "dry baptism” in a sermon of his. This baptism which Paul is writing about is a spiritual baptism into Christ. Baptism symbolizes our union with Christ but it is not the means which brings our union with Him. To claim so would make Salvation to be dependent upon baptism and reject what the Apostle had laid before this chapter about justification by faith alone. The baptism of Romans 6 is a metaphorical baptism into Christ at the moment of faith, when the believer is united to their Savior and experiences the blessings of this union. But does this overthrow everything that I've said above? Not for a bit! The truths of union with Christ in His death and resurrection are still represented and shown by baptism in water, but they are not the effects of water baptism. If baptism was the means of union with Christ, i.e., Salvation, then that would mean that Salvation is by faith and works, which is contrary to the foundation which the Apostle had laid in chapters 3-5. Although I deny that this passage is directly speaking of water baptism, yet, I believe that Paul had water baptism in mind because it was a sign given by the Lord to symbolize our union in His death, burial, and resurrection. Therefore, its use for the meaning and mode of baptism is proper. Although the baptism here is spiritual baptism, yet it cannot be denied that water baptism signifies spiritual baptism, i.e., regeneration. Baptism, like the Fourth of July, the Passover, the Lord's Supper, is a historical monument. It witnesses to the world that Jesus died and rose again. In celebrating it, we show forth the Lord's death as truly as in the celebration of the Supper. But it is more than a historical monument. It is also a pictorial expression of doctrine. Into it are woven all the essential truths of the Christian scheme. It tells of the nature and penalty of sin, of human nature delivered from sin in the person of a crucified and risen Savior, of Salvation secured for each human soul that is united to Christ, of obedience to Christ as the way to life and glory. Thus baptism stands from age to age as a witness for God—a witness both to the facts and to the doctrine of Christianity. To change the form of administering the ordinance is therefore to strike a blow at Christianity and at Christ, and to defraud the world of a part of God's means of Salvation. ...color: #339966;"the advancing and bettering of his state. God never made a covenant with man in which his goodness to him was not abundantly manifest. Yes, such is his infinite bounty that he has proposed no lower end to his covenant transactions with men than to bring them into a blessed state in the eternal enjoyment of himself. 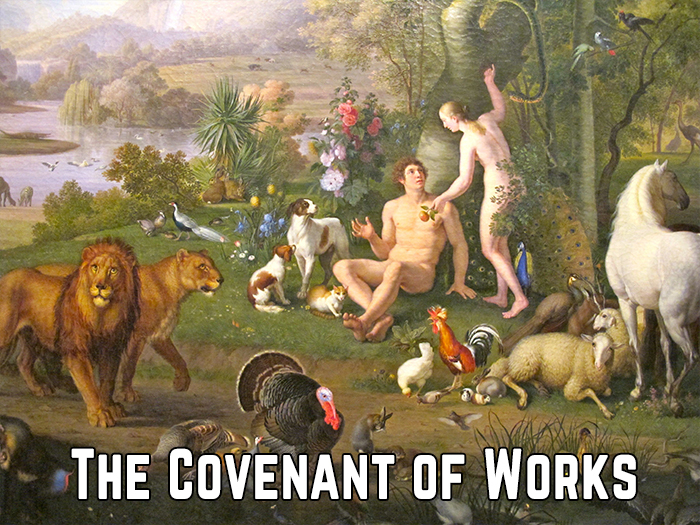 And therefore, when one covenant (through the weakness of man in his lapsed state) has been found weak and unprofitable as to this great end of a covenant because insufficient to accomplish it, God finds fault, abolishes it, and introduces another in which full provision is made for the perfect Salvation of those that have interest in it (Hebrews 8:7, 8). 19:6 Although true believers be not under the law as a covenant of works, to be thereby justified or condemned, yet it is of great use to them as well as to others, in that as a rule of life, informing them of the will of God and their duty, it directs and binds them to walk accordingly; discovering also the sinful pollutions of their natures, hearts, and lives, so as examining themselves thereby, they may come to further conviction of, humiliation for, and hatred against, sin; together with a clearer sight of the need they have of Christ and the perfection of his obedience; it is likewise of use to the regenerate to restrain their corruptions, in that it forbids sin; and the threatenings of it serve to shew what even their sins deserve, and what afflictions in this life they may expect for them, although freed from the curse and unallayed rigour thereof. The promises of it likewise shew them God's approbation of obedience, and what blessings they may expect upon the performance thereof, though not as due to them by the law as a covenant of works; so as man's doing good and refraining from evil, because the law encourageth to the one and deterreth from the other, is no evidence of his being under the law and not under grace. ...urpose. One of his purposes was to bring the Old Covenant people of God back to their land and build the Temple of God. He was used for a good purpose. But in contrast, there was someone else who was raised by God for God's purposes, but that was a dishonorable purpose (Rom. 9:17; see the discussion about Pharaoh and Reprobation in paragraph 3). Note the monergy in v. 11 (mono = one, ergon = work; one working) of God. I am not using this term in the same way as it relates to Salvation. God is the One Who has purposed history and He is the One Who will bring it to pass, according to His fore-purpose and fore-counsel. He will move history to its appointed end and work all things according to His purpose (Heb. 1:3; Eph. 1:11). Nothing is left to chance or fate. God controls and directs history and man's actions, obviously, are part of what He controls, if He truly controls and ordains all things. God knows the future not because He looks to the "corridors of time," but because He creates the shape of the future–He foreordains all that happens and knows the future infallibly because He knows what He has foreordained and purposed. This should be enough about general sovereignty. I believe that I have provided a decent case for God's absolute sovereignty over history. I have not gone deep and to other texts, but that is because I have already provided a case for God’s absolute sovereignty, though not exegetically. In the next section, we will look at God's sovereignty over particular matters as evil and human responsibility, among other things. Here, I’m going to provide verses for God’s sovereignty in and over specific cases. Let's start with simple things. Simple, does not mean easy-to-swallow-things. This should not be an issue for any Christians, but believe me, I've seen people who believe that God only "permits” death and does not cause it. What does the Scripture say? 1Sam. 2:6 The LORD kills and brings to life; he brings down to Sheol and raises up. It is Yahweh, the LORD, the God of the Bible, Who gives life and takes life. Both words are verbs. It is something that God does and not merely “permits.” As the Giver of life He has every right to take it at any point He so wishes, in any way He wishes. It is He Who gives us life and creates us in the womb (Ps. 139:13-16). He is the Ultimate and Foremost Cause in our conception. It is He Who closes wombs so that they do not conceive and opens wombs so that they bear children (e.g. Gen. 20:17-18; 30:2; Ruth 4:13). After all the calamity that God (Job 42:11) brought upon Job and the death of his children, what did Job say?